Going to deviate a bit here, or rather return to a favorite topic – design. I read the following article on Gamasutra from Stephan Frost on how to manage development of an MMORPG. It got the brain juices flowing. First, background. I work in IT as a lead systems integrator/architect. My job is to take extremely complex systems and make sure all the pieces fit together, while meeting business, security and functional requirements. That pretty much means, on budget, on spec and on time. My current project has about 500,000 clients and a team of about 100 working on it. Ok, background complete. If you played the recent Deus Ex you (and the world) noticed that the boss fights in that game made no sense when compared to the rest of the world. The former was all run&gun and the latter was extremely open ended. That’s a lack of systems integration, where people use the same tools, have the same goals but get there in different fashions. It creates a jarring feel when players go through it. For a team of 100+ people to work together and ensure a cohesive experience for the consumer, they need solid direction. In IT, certainly architecture, we have Concepts of Operation (ConOps) and architecture designs at the reference, technical and detailed level. The ConOps gives a high level picture of how the client is going to consume the service and sets expectations. You’d see raids, housing, crafting, exploration in a ConOps, including how they interlink. A reference architecture is a ‘behind closed doors’ guide for similar systems. Say a art style guide, so that all the assets are similar. A technical architecture is one level deeper, explaining the various components in that system. A raid guide would say something like, it has 24 people, this type of class diversity, this number of bosses, the expected completion time, and how it interlinks with other systems (tokens, crafting, etc…). The detailed architecture is explicit in design. It would be for a single raid, explain the flow of the zone, the boss abilities, themes and so on. Think about the WotLK expansion and the raids that came from it. Ulduar and Trial of the Crusader were extreme opposites in terms of detailed design. Before someone started coding those zones, there had to be a plan for people to connect to and milestones to reach. Raids don’t just magically appear from some code. 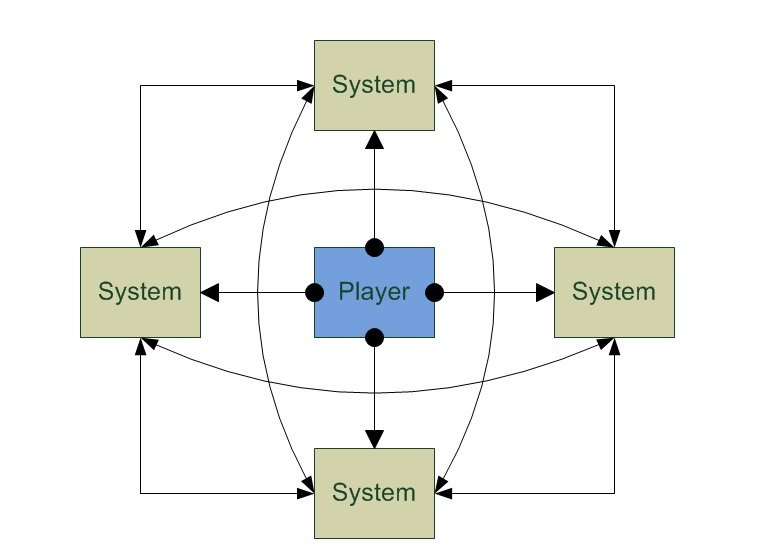 From a player perspective, it means that each system has an impact on the other and that you can make progress across the entire game, regardless of what system you prefer. You like to craft? Well, it’s used in housing, raiding and questing. You like exploring? It impacts the world by putting in trade routes and creating new spawns. It means that when you move from one system to another, you don’t have to learn a completely new game. I really appreciate Stephan’s post on the matter. 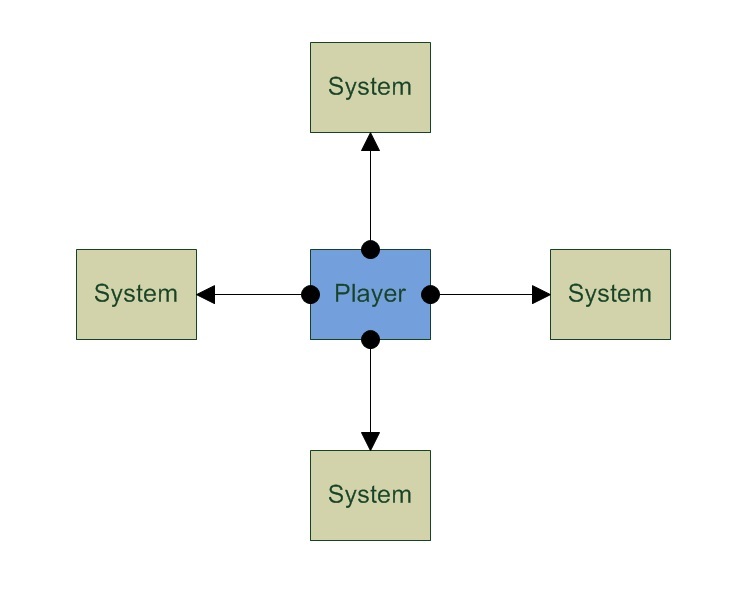 It provides clarity on the complexity of system design. Hopefully more developers can provide similar insight into their work styles. This entry was posted in Games and tagged design, wildstar. Bookmark the permalink.